Air turnover units are based on a drum and tube indirect-fired design. Units can help reduce heat stratification problems by drawing in cooler air from the floor, warming it and then re-circulating it through the area. Indoor installation for warehouses and large open spaces heating, cooling or general air movement within the space. 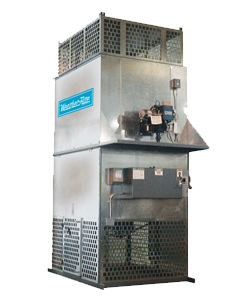 Airflow capabilities are available up to 100,000 CFM. 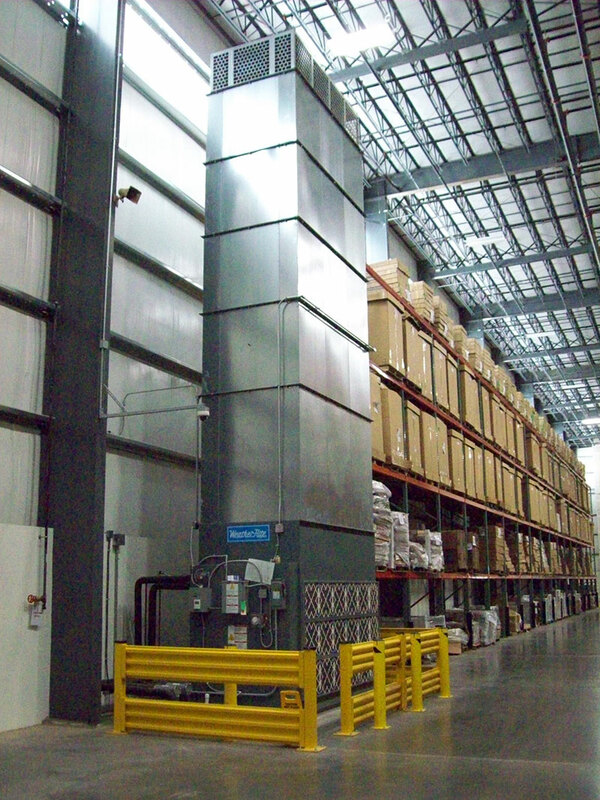 What do Air Turnover Units provide for large volume industrial and commercial spaces? Provide Space Cooling - Improve working conditions for employees. Maintain setpoints for temperature sensitive product storage areas. Air Filtration - Improve Indoor Air Quality and reduce dust build-up on stored product. Supply Positive Building Pressure - Option of introducing outdoor air for building pressurization.